Recently my fiancee and I traveled from Ohio down to North Carolina to spend this Christmas with my family. One of the things we always do on long trips is listen to sermons from preachers we both like. On this trip we decided to listen to a Perry Noble sermon and a Matt Chandler sermon. Both were great, but the sermon from Matt Chandler was just what I needed! I want to share with you the main points of the sermon and hope it ministers to you as it did me. The sermon was called “Dealing with Doubt.” If we were all honest, we would admit that sometime in our Christian life we have struggled with doubt. Either something has caused us to question the reality of our salvation or the assurance of it. To be honest, this is one of the “thorns in my flesh.” Doubt is an issue that from time to time I struggle with and if I am not careful, it becomes a sin that the enemy uses to distract me. I was encouraged by Matt Chandler’s honesty in this sermon as he shared that he struggles with doubt from time to time as well. In this sermon, Matt Chandler addresses three areas where doubt comes from. He then ends the sermon with some principles to examine if you truly have saving faith or not. I want to share the three areas then give my own principle that will help us examine if we have saving faith or not. 1. You really are not Christian. One reason a person may doubt is simply because they are not truly a born-again Christian. They may “profess” to being a Christian, but that is not enough! Matthew 7:22-23 says that many will stand before God one day and profess His name and even say they did things in His name, but sadly God will tell them He never really knew them. There is a big different between knowing about God and personally knowing Him in a relationship. James 2:19 tells us that even the demons believe there is a God! One reason many doubt their salvation is because they profess it, but do not truly possess it. 2. Uncertainty of God’s affection for you. Many Christians struggle with doubt because they forget that God loves them unconditionally. We received Christ’s righteousness at the point of salvation, but we start to live the Christian life in our own righteousness. So we start to see the Christian life as a checklist and a list of things we can do and things we cannot do. The problem is we are sinners, and we still sin and do those things we shouldn’t do. 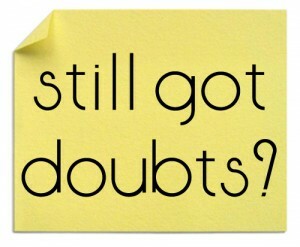 So what happens is that we start to doubt and every time we sin we doubt if God really loves us. When we doubt that God loves us and if we are truly saved, we are looking at the cross of Christ and telling God He must show us something better for us to believe He loves us. God showed His love for us by sending Jesus to die for us (Romans 5:8). Not only did He die for us, but we have been given His righteousness (2 Corinthians 5:21). We now stand justified before God (Romans 3:24). 3. You are walking in sin. I believe this is the main reason Christians struggle with doubt. Many struggle with doubt because the are walking in unconfessed, unrepentant sin. When a Christian is walking in unconfessed sin they are miserable! Just read Psalm 32 and see how David felt when he did not confess his sin. When we are walking in unconfessed we cant see God clearly and we cant see His love clearly. Because of this we doubt our salvation. The good thing about this is that God has given us a way out of this situation. Because Christ already paid for all of our sin on the cross, we can confess and repent when we do sin which restores our fellowship with God (1 John 1:9). Many people doubt their salvation because they are out of fellowship with God, they are not confessing and repenting of sin. In his book, Doctrine, Mark Driscoll reminds us that repentance is a gift to the Christian. Christians, don’t forsake the gift of repentance. When you sin, confess and repent quickly! I want to take a step away from Matt Chandler’s sermon now and share with you one simple idea that I believe can help us identify if we truly have saving faith or not. I believe your life indicates whether or not you have true saving faith. What I mean by this is that your life, since you became a Christian, should tell you that your are a true Christian. There should be spiritual growth, changes, and conviction of sin. If things like this are not seen in your life it is probably an indication that you are not a true Christian. I’m not talking about perfection. As a Christian, you will sin and may have times when you turn your back on God, but the overall picture of your life will be growth, change, and God working in your life. Matt Chandler is lead pastor of The Village Church in TX. You can download their preaching podcast here and listen to all of Matt Chandler’s sermons. 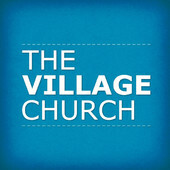 I would encourage you to listen Matt Chandler’s sermons as well as the other pastors at The Village Church.